The clouds were beginning to show a little color as the sun dropped low in the western sky. 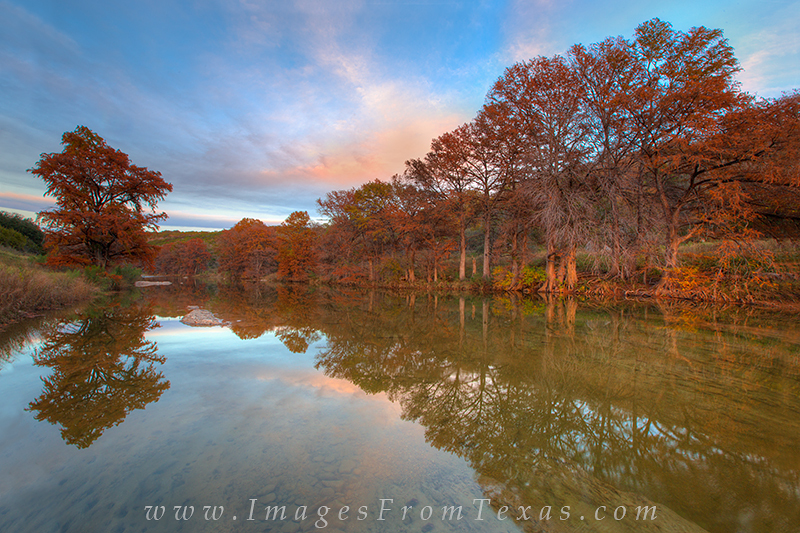 This Autumn image from the Hill Coiuntry of Texas comes from Pedernales Falls State Park on a lovely evening. Photo © copyright by Rob Greebon.